Whether you’re starting a new business or trying to refresh your image we offer logo design services in Utica, NY that will help you meet your goals. Your logo design is important. It is a major part of your business, it’s the mark that makes your brand stand out. With the right logo design you can impress your market targets and capture new business. Being able to capture the essence of your business and appeal to new potential customers is a task that no business owner should attempt to do on their own. We specialize in logo design and can work with you to design a logo for your business that is appealing to look at, something that you are proud of, and that your clients or customers look at and know they can rely on the product or services you offer. Our process starts by discussing your needs with you and and reviewing strategies that will help take your vision and turn it in to a logo that you will be impressed with and your clients will not forget. After discussing your business’s needs, we get right to work. To make sure you are going to have some options by providing you with three logo designs to choose from and review. 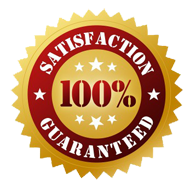 After that you can make as many revisions you want until you are 100% satisfied with no additional charges beyond the logo design cost discussed upfront. When we are finished with your logo design, we deliver your logo in all of the major formats so you can use your new logo on your on all of business’s materials. Like your website, catalogs, outdoor signs, business cards, stationary… basically anywhere you want!